Maurice Jarre was of Russian descent, and was born in Lyon in France. He studied at the Paris Conservatoire with Arthur Honegger among others and following his graduation he composed music for a number of stage productions. Some of his initial film scores were for the director George Franju. He scored many other films for the French cinema for various directors, before becoming associated with a number of epic films in the early 1960s, particularly "Lawrence of Arabia" and "Doctor Zhivago". (In Doctor Zhivago note that Jarre used the Russian guitar-like instrument, the Balalaika, for the main "Lara's Theme".) The early international success of those 60s epic tales marked the start of a fruitful association with director David Lean, and he was to work with him again on "Ryan's Daughter" and "A Passage to India". However a brief look at the composer's major films will show a versatility which stretches across genres other than the historical epics. Indeed it is surprising to find that he has consistently produced memorable film scores throughout the 20th century including films such as "Fatal Attraction" and "Ghost". It is interesting to observe how his style has changed and adapted with the times so that his music seems to match the style of film making from the various decades. The name of Jarre may also be familiar from Maurice's son Jean Michel Jarre who is the well-known composer of synthesizer albums such as Oxygene, and more recently for producing huge dramatic open-air spectacles involving music, fire-works and lasers. 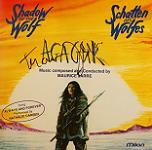 Maurice himself has employed synthesizers for example in his score for "Witness". At first glance this appears to be an unusual choice of soundscape for a film such as "Witness", but it seems to enhance the otherworldliness of the Amish community. The simple thematic ideas come together in the contrapuntal barn building sequence, which weaves together subtle hints which emphasise feelings of early America, traditions and timelessness, and the way these hints are knitted into a complete tapestry seems to mirror the community work ethos where individuals contribute to a greater collective good. Synthesizers seem like a more obvious choice for "Tokyo Blackout" where a mysterious dark cloud covers the Japanese Capital, and it doesn't hinder the film that some of the synth sounds now seem dated to modern ears. "Ghost" also makes effective use of synthesised sounds for many of the supernatural moments in the film. The film also features Jarre's ever striving love theme, in addition to the cover version of "unchained melody". Jarre senior has also provided music for some significant television drama series, including the mini-series "Shogun" which again provided the composer with an opportunity to consider evocative ethnic instruments. For "Jesus of Nazareth", Jarre built upon the music of earlier biblical epics but avoided the heavenly choirs and overt mysticism. Instead he created a lot of simple pastoral music for woodwind and blended this with some Middle Eastern scales and instruments. The result supports the story without drowning the viewer in religious histrionics. 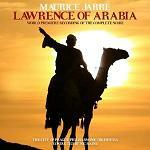 Certainly the scoring of the scene with the Three Kings on their camels is far removed from "Lawrence of Arabia". We were saddened to hear of the death of Maurice Jarre, on 29th March 2009 at the age of 84. Here is Jarre conducting his music from Doctor Zhivago in a concert tribute to the director David Lean in 1992 - Maurice Jarre conducting. The Professionals - not the TV programme! 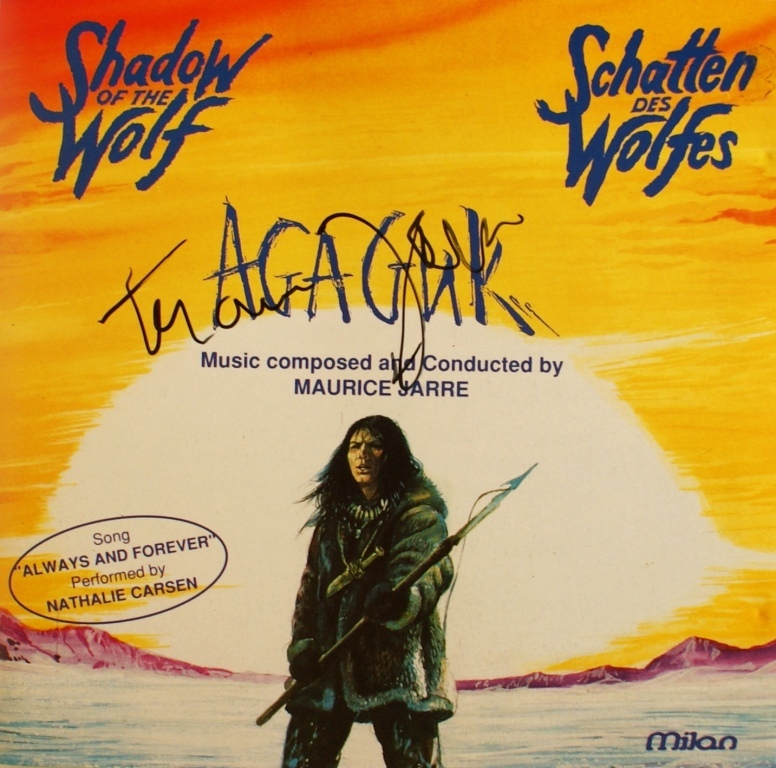 Cimarron Strip - theme tune for the series, and incidental music one episode "The Battleground"
You can find a number of Maurice Jarre's tracks on compilation albums of classic movie themes in addition to the following recommended soundtrack albums. Don't forget that Amazon let's you sample tracks before deciding whether you want to buy. The first CD cover below has been signed by Nic Raine (conductor) and James Fitzpatrick (producer) who brought us the first recording of the complete score for Maurice Jarre's Lawrence of Arabia. 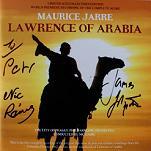 The second CD cover has been signed by Maurice Jarre himself. Our thanks to Petr Kocanda for permission to use his collection of autographed CDs. Click a thumbnail below to see the image full size in a separate window.